Debra Bella, an educator from Robbinsville High School in New Jersey, created a web quest for her students using materials found on our main website. Students follow the prompts, answering the questions as they go along. Debra was kind enough to send us the directions for the web quest, which can be downloaded as a PDF here, along with the answer sheet. Use the website to complete the web quest about Jewish partisans. Read the directions carefully. Write all responses on the answer sheet. Under Explore on the toolbar → select Someone Like Me. Answer the questions. Select one of the photos that remain and read the short biography about the person. (If no picture remains, change your response(s) until one or more picture(s) appear.) There are 2 pages to the biography section. To advance to the next page, use the arrow located on the right bottom. Use the toolbar to look at the images. Use the toolbar to watch the video. What is the name of the person you researched? Male/Female? Age? Describe their activities as a partisan. What question would you ask them if you could? Click Explore on the small toolbar → select WHAT is a Partisan? There are 2 pages to this section. To advance to the next page, use the arrow located on the right bottom. Read about Jewish partisans and the varied forms of resistance. How is a partisan defined? What were some ways Jews resisted? Do you think these were effective resistance methods? Why or why not? On the small toolbar, select WHO Were the Jewish Partisans? There are 2 pages to this section. To advance to the next page, use the arrow located on the right bottom. Describe who the partisans were. Which partisan group took families with young children? Click on the name Frank Blaichman. There are 2 pages to this section. To advance to the next page, use the arrow located on the right bottom. How old was he when he joined the resistance? Describe his role as a partisan. Use the toolbar to watch the video. Frank said, “The reality was we had nothing to lose, and our way to survive was to fight.” Do agree or disagree with his statement? Why or why not? On the small toolbar, select WHEN did the Partisans Fight? There are 2 pages to this section. To advance to the next page, use the arrow located on the right bottom. When and where was the first known partisan fighting? On the small toolbar, select WHERE did the Partisans Fight? There are 2 pages to this section. To advance to the next page, use the arrow located on the right bottom. Read about the where the partisans fought. The partisans fought in almost every country in Europe. Where did they hide? Click on the name Gertrude ‘Gertie’ Boyarski. Describe her role as a partisan. What impressed you the most? On the small toolbar, select WHY did the Partisans Fight? Read about the reasons why people chose to fight. Click on the name Sonia Orbuch. There are 2 pages to this section. To advance to the next page, use the arrow located on the right bottom. How old was she when she joined the resistance? Describe her role as a partisan. Use the toolbar to watch the video. What impressed you the most about Sonia? On the small toolbar, select HOW did the Partisans Accomplish Their Goals? There are 2 pages to this section. To advance to the next page, use the arrow located on the right bottom. 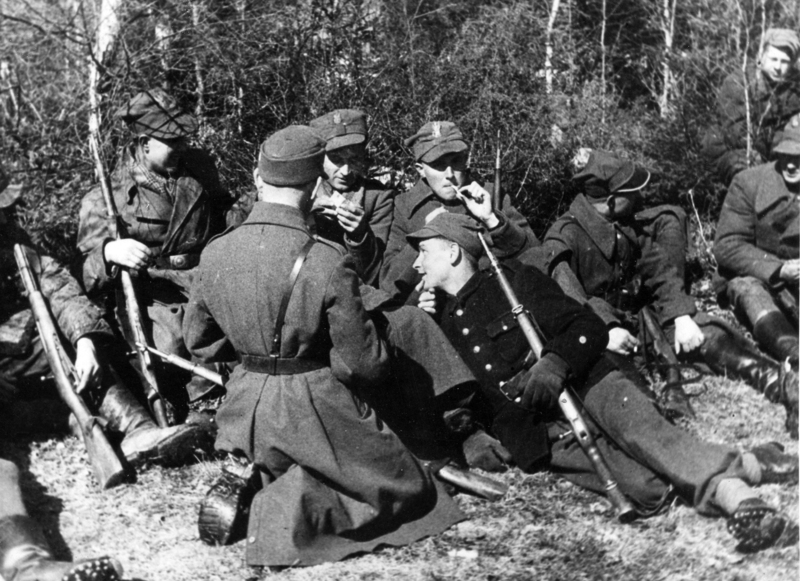 Read about how the partisans fought against the Nazis. What advantages did the partisans have over the Nazis? Do you think it was ethical for the partisans to steal what they needed? Defend your response. Click Explore on the toolbar → select Virtual Underground Bunker. Read about the underground bunkers. 18. Use the virtual camera to explore the inside of the zemlyankas. Describe what you see. Using the toolbar, select More About the Zemlyankas. There are 3 pages to this section. To advance to the next page, use the arrow located on the right bottom. Read about them. Would you be able to live like this? Why or why not? Based on all that you have learned, write a personal reaction. Your paragraph must have 5 to 7 sentences. Over the years, there has been heated debate among Polish and Jewish academics over the treatment of Polish Jews by the Armia Krajowa (AK) during the war and the Jewish Partisan Educational Foundation recently found itself in the midst of this controversy. 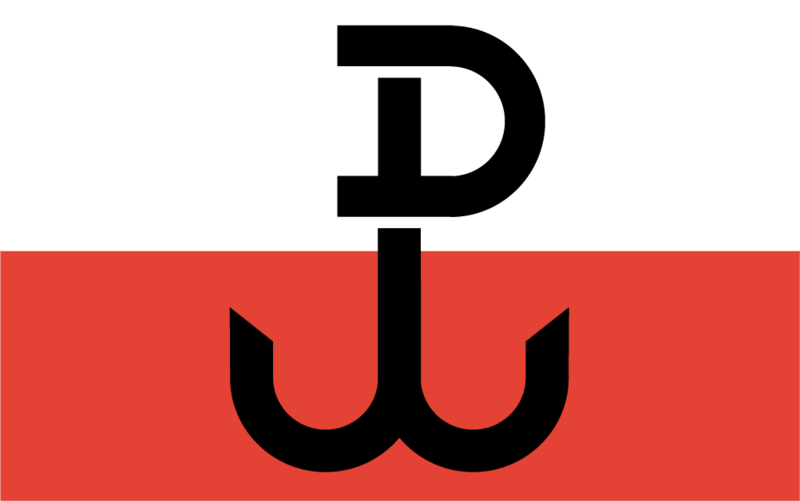 The Armia Krajowa, “Home Army”, was the largest underground resistance group in Poland, with an estimated 250,000-400,000 members. The group conducted sabotage and intelligence operations against the Germans. One of its main purposes was to fill the power vacuum in Poland that would inevitably follow Germany’s defeat with a nationalist Polish group. Originally, the AK planned to attack the Germans only upon their impending retreat. It should be understood that Jewish resistance and Polish non-Jewish resistance were working under two different and conflicting time pressures. Ghettoized Jews had only until deportation to rise in arms, whether or not they had a chance for victory; otherwise it would be too late and they would be killed. The AK could wait until there was a chance for victory, until the Soviet army was within range. While individual Poles were being persecuted and the Polish nation decimated, there was no plan to murder all the Poles and they could choose when and where to battle the Germans. Leading up to World War II, Poland experienced an increase in antisemitic sentiment following the 1935 death of its politically moderate Chief of State Jozef Pilsudski, and the subsequent rise of the nationalistic Endejca party which enacted a wide array of antisemitic laws aimed at disenfranchising the Jews and confiscating their property. Cultural differences also played a role in inciting antisemitism. In rural areas, Jews primarily spoke Yiddish and many Poles regarded this as their refusal to assimilate, a sign of disloyalty to Poland. The influx of Jewish refugees fleeing the Ukraine further accelerated antisemitism among Poles who feared that they brought Bolshevist and Communist elements with them. Antisemitism predictably arose among nationalist groups including the AK. Virulent antisemitism was especially prevalent among the partisan contingent of the group (2,500 – 3,000 armed fighters), many of whom came from the Narodowe Siły Zbrojne (NSZ), a Polish, anti-Soviet and anti-Nazi paramilitary organization, where there was already a strong undercurrent of antisemitism. There were also many members of the AK who, unaffected by this prejudice, took action to help the Jews. The famous Nazi hunter Simon Wiesenthal credits the AK with sheltering his wife during the war and there are other documented instances of friendly AK commanders helping Jewish partisan units in their area – even warning them of pending danger1. JPEF acknowledges the honorable actions of individuals in the AK, but must also describe the antisemitic violence perpetrated by others within the organization. Over the years, it has conducted numerous interviews with Jewish partisans from Poland who routinely spoke of antisemitic actions directed at them and other Jews by the AK. 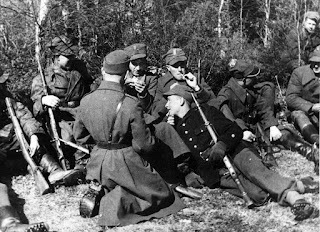 Abe Asner reported that the AK often posed a greater threat to the Jewish partisans than the Nazis, as their familiarity with the forests and with local residents put them in a better position to locate Jews. Rose Holm stated that she escaped post-war Poland with her husband because of the AK’s continued reprisals against the surviving Jewish population. The survivor testimonies of the Jewish Historical Institute in Warsaw also contain a number of references to the danger the AK posed to Jews in hiding, and of a prevailing air of antisemitism in the group. These testimonies were collected in the years 1945-1946, and are not affected by revisionists. View JPEF’s short film Antisemitism in the Partisans, narrated by Larry King, for more details. The AK holds a near-sacred position in the hearts and minds of many Poles, representing their national counterpart to the Allied struggle – much like La Résistance does for the French. Questioning its treatment of Jews undoubtedly assails its credibility as a national icon, resulting in the failure to acknowledge this chapter of the AK’s history and the outright refusal to admit that many of its factions were not only antisemitic but engaged in the persecution and killing of Jews. When even the popular internet encyclopedia Wikipedia ignores this fact, and labels it “disputed”, it is incumbent upon the Jewish Partisan Educational Foundation to ensure historical accuracy on its website. JPEF’s glossary definition of the AK was developed through both extensive historical research and interviews with surviving Jewish partisans who interacted with the AK. While we understand that JPEF’s description of the AK may upset both surviving members and their families, we present the truth as best as we are able to discern from both written documentation and partisan testimony. JPEF acknowledges that there were many members of the AK who helped rescue Jews and collaborated with Jewish partisans to fight against the Germans and holds these honorable men and women in high esteem. We also hold the cause of the AK, the battle against German occupation, in equally high esteem. Click here to see the definition of the Armia Krajowa on our glossary page.